In 1947 I went round the secondhand bookshops in the Kanda district of Tokyo, which had miraculously survived the bombs, and bought many books on Budo and Zen. These books were now almost given away, and the whole group of ideals had been discredited. I began to translate some of these materials-no easy task. Already in 1946 I had published some short essays in small magazines. At first, editors asked for articles about the decorative arts or about ‘how Japan has changed’. But quite soon they were attracted to the theme of Budo. One of my earlier writings, ‘The Maxims of Saigo ‘, became rather well known. In 1956 my First Zen Reader, a collection of translations, was brought out by Charles Tuttle in Tokyo and had a big success. It was followed by a number of other writings-translations and some essays of my own. One evening, however, I felt very tired with a headache. At about seven, I picked up my towel and prepared to leave the dojo. Tani looked across and asked, ‘Where are you going?’ I replied, ‘I feel tired and I’ve got a headache. I’ll come tomorrow’. Tani asked quietly: ‘If a man rushes at you in the street with a hammer, wanting to kill you, can you say, “I feel tired and I’ve got a headache, so come back tomorrow”?’ Then he turned away. His words were like a thunderbolt. I went back on to the mat and practised. After half an hour he said, ‘All right, go home now’. Somehow I felt I did not want to. I went on practising, but he gave me a little push with a smile and repeated, ‘Go now, go now’. This time I went. Later in life, when I have promised to do something but then have been tired or sometimes even ill, I wanted to make an excuse. Tani’s words would return to me: ‘Can you say, “I feel tired and I’ve got a headache, so come back tomorrow”?’ Then I was able to put aside the tiredness and carry out the promise. While much has been written about the physical techniques of martial arts such as judo and kendo, the training of the mind is more important than superior technique. 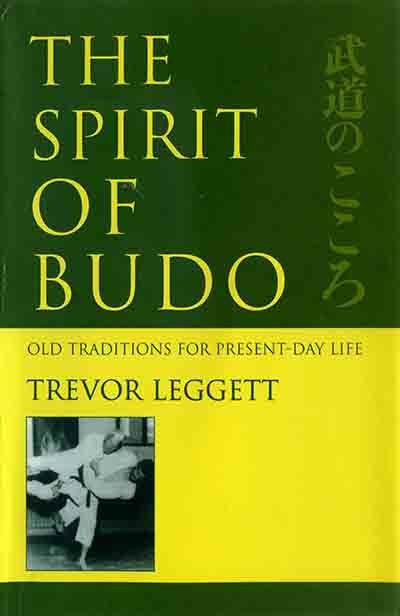 This book provides a clear introduction to Budo – the “inner way” of the martial arts. Here are eighteen short pieces similar in style to the storytelling that characterises Zen instruction. Matters addressed include sportsmanship, achieving freedom of mind, training the inner self, developing an inner calm, and the four keys to learning – instruction, observation, inference, and personal experience. The reader is instructed on the cultivation of these Budo qualities, and ways are suggested in which the lessons learned can be applied to daily life as well as to the practice of the martial arts.